I was born in Georgetown, Guyana, where I have lived for most of my life. I also lived for 5 years in the British Virgin Islands when I was younger. I completed my undergraduate degree in Biology at the University of Guyana in 2014, but have been involved in fieldwork since 2013. I have worked with a variety of projects in marine, rainforest, savanna, and highland habitats in Guyana and Suriname. These have involved mist-netting birds, transect surveys for frogs and reptiles, camera trapping for jaguars and other large mammals, and most recently social surveys quantifying human-black caiman conflict. During my time with the WildCRU, I look forward to learning from my tutors and fellow Panthers. 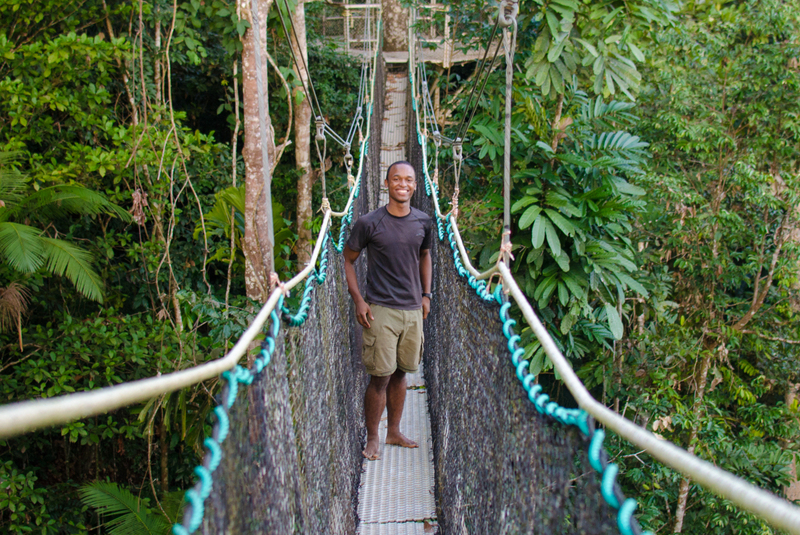 I aim to improve my ecological and conservation knowledge, while learning new skills and tools that I can utilize in my future research in Guyana.